Active-shutter glasses are actually small LCD screens that alternately dim the left and right "lenses" in succession. They rely on an infrared signal emitter in the TV that tells each pair of glasses when they should dim each lens, so each eye can see the image intended for it. Since active-shutter glasses are fairly complicated electronics, they're pricey: A typical pair usually runs about $150, and works only on 3D TVs made by the same manufacturer. They depend on batteries to keep running, too. What's more, they're kind of heavy--especially if you're already wearing prescription eyeglasses--which can make watching a whole movie somewhat uncomfortable. 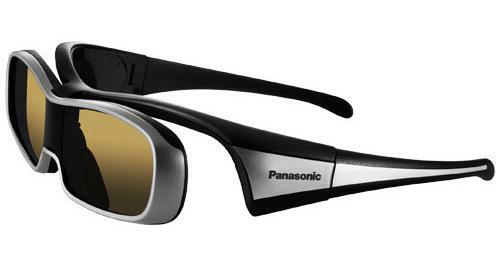 Passive 3D glasses, on the other hand, are sort of like a pair of specially designed polarized sunglasses. Unlike sunglasses, which are designed to block light equally from both eyes, polarized 3D glasses block different kinds of light from each eye, creating the illusion of depth. That means you don't need any kind of expensive, delicate electronics in the glasses themselves, nor do you need a proprietary infrared emitter to sync with the glasses--but since each lens is blocking out light, you're technically not getting a full 1080p image for each eye, though your brain should be perceiving a 1080p image when it puts the two together. We watched two test scenes--the opening segment of Resident Evil: Afterlife and the opening segment of Cloudy With a Chance of Meatballs--using a Sony PlayStation 3 to play the 3D Blu-ray discs, and an HDMI splitter to send the video signal to all three TVs at once. Patrick's take: I have never been a fan of active-shutter 3D glasses because they're simply too heavy for me to enjoy comfortably, and Sharp's included 3D glasses were no different. After the first few minutes, I had gotten used to the feeling somewhat, but it was still annoying. Without a doubt, passive 3D glasses are lighter and cheaper, and generally make for a more pleasant overall 3D experience. The big question, of course, concerns the image-quality trade-off. After all, what's the point of shelling out for a really nice LED-backlit 1080p 3D TV if it's just going to look like a low-quality YouTube video once you put the glasses on? The kids might not notice during their ninth time watching Ice Age 3, but 3D tech already has an unfortunate reputation for appearing "blurry" to begin with, and further degrading the image quality simply isn't a good look. 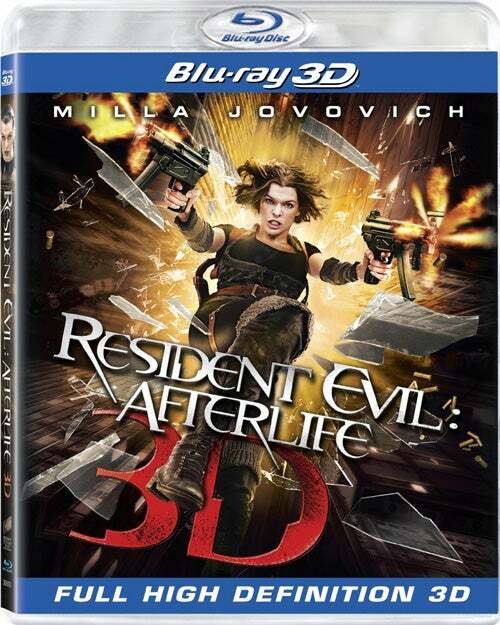 While we were watching Resident Evil: Afterlife, I immediately noticed the image-quality problem with the passive glasses: The image seemed interlaced, as though I were sitting a bit too close to an older TV and could see the individual lines that composed the whole image. Say what you will about active shutter glasses--they don't look like that. (One of the drawbacks of reviewing TVs is that once you see something like that, you can't really unsee it, even if you're just trying to kick back and enjoy a movie.) The image through the active-shutter glasses, by contrast, looked crisp and clean. By the time we made it to Cloudy With a Chance of Meatballs, however, my eyeballs felt a little more forgiving with the passive glasses. If I focused on a particular section of the screen for a prolonged period of time, I'd find myself getting annoyed at the interlaced effect again, but if I watched the clip the way I normally watch a movie, it looked fine. I did notice that the LG passive 3D set produced a slightly "deeper" 3D effect than both the Vizio and Sharp sets. The raindrops in Resident Evil and the cloudy cheeseburger from Cloudy With a Chance of Meatballs both popped out a bit more on the LG set--meaning that while the choice of 3D tech is important, it isn't the only determining factor when it comes to how good 3D stuff will look on your TV. Tim's take: After viewing the three 3DTVs we used in our eyeball testing, I voted for passive glasses for a number of reasons. As Patrick mentions, the glasses are definitely lighter and more comfortable, making them better options for long 3D-viewing sessions minus the nose sweat. They also don't have the "Are these things on?" sync problems that you sometimes encounter with active-shutter glasses. Add in the fact that passive glasses are significantly cheaper and don't need to be recharged, and they have a big advantage over active-shutter technology before you even start watching anything. What was really surprising to me is that I thought the 3D effects looked better with the passive glasses, as well. With the glasses off, I could see the individual lines of resolution on the Vizio and LG TVs in our test group, but once I put the glasses on, the images on screen looked noticeably sharper on those sets (especially on the LG) than they did on the active-shutter Sharp set. The LG passive-glasses set really impressed me. In the opening sequence of Resident Evil: Afterlife that we watched, the edges looked sharper and the contrast showed more clarity than it did on the other sets. The titles popped out of the screen on each of the TVs we viewed; but on the LG, the text looked sharper, and the effect of raindrops pinging off the title text looked more realistic and defined than it did on the other sets. A foreground image of planet Earth popping out of the TV set also looked more spherical and subtly layered on the LG set than it did on the other sets. Of course, this result may have a lot to do with the fact that the LG set was the smallest in the group: Since all three were 1080p sets, each model had the exact same number of lines of horizontal resolution, but the fact that the LG set packed the lines in more densely could be why the image looked sharper in 3D mode. On the Vizio, the gap between lines when viewed without glasses was more noticeable (again, probably due to the fact that it's a huge, 65-inch set), and the sharpness of the 3D effects wasn't as impressive as on the LG set. On the active-shutter Sharp set, everything looked a bit more "soft"--not in a terrible way, but certainly lacking in sharpness and clarity when compared with the LG set. My opinion was largely formed by the time we fired up Cloudy With a Chance of Meatballs, but watching it simply affirmed what I was already thinking. On the LG set, in a scene where students pointed their fingers "through the screen," I found it easy to focus on extreme foreground objects; it took a good second or two for my eyes to adjust to the same effect on the active-shutter Sharp set, and the foreground fingers weren't as crisp when I viewed the clip on the passive-glasses Vizio TV. In general, the layers of each 3D effect looked more clear and seamless on the LG set, noticeably less impressive on the Vizio set, and a wee bit hazy on the Sharp set. According to my eyeballs, passive glasses were the way to go, but it totally depended on the set itself. It would be great to do the same test on a single set that supported both active- and passive-glasses viewing, just to see if there was a significant variation in the way 3D looked on the same TV with different display technologies. As it stands, because passive glasses have the whole cheaper-lighter-batteryless-syncless thing going for them, they have my vote. Even though active-shutter glasses should produce a better image, both of us preferred the passive 3D glasses overall. However, we both found that the quality of the TV itself is just as important as the type of 3D-glasses tech the TV employs. While passive 3D tech is at a disadvantage for image quality, it can nonetheless create a better-looking overall image than an active-shutter 3D set that just doesn't get it quite right. Unless other active-shutter 3D TV manufacturers step up their game significantly in price and ease of use, we think passive 3D is the way to go. This story, "Active 3D vs. Passive 3D" was originally published by PCWorld.